The Kumar Classic 3v3 Charity Basketball Tournament is in honour of a former U13 player, Jay Kumar, who passed away mid-season from a rare and aggressive brain tumour. 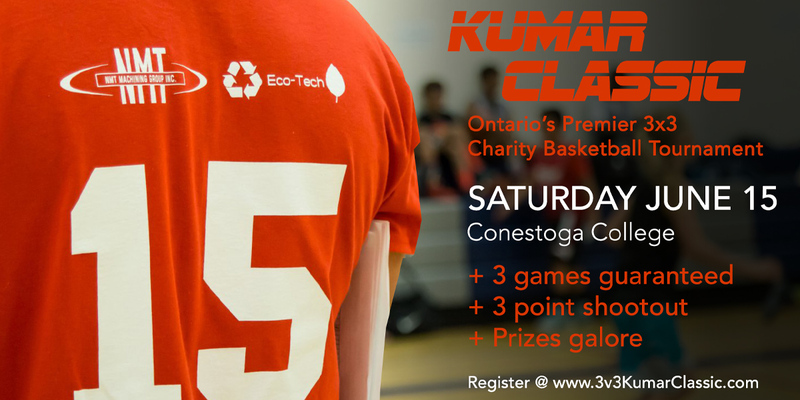 This summer celebrates the 6th anniversary of the Kumar Classic on Saturday, June 15. Since its inception, the Kumar Classic has raised thousands of dollars for the Brain Tumour Foundation of Canada and the Jay Kumar Memorial Scholarship. Players and parents can come by the gym the night before to play some Kumar Classic Pick-up or can enter the tournaments 3-point contest which takes place on June 15. Visit our 3×3 page to see other fun upcoming events. Written on 2019-04-09, in News.